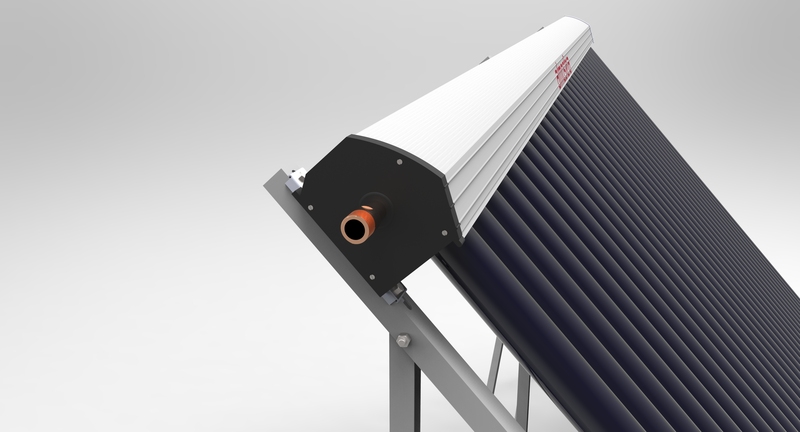 Vacuum solar collectors Atmosfera® | Atmosfera™. Альтернативные источники энергии. Солнце. Ветер. Вода. Земля. Models with 20 and 30 vacuum tubes with condenser diameters 14 and 25 mm are available. 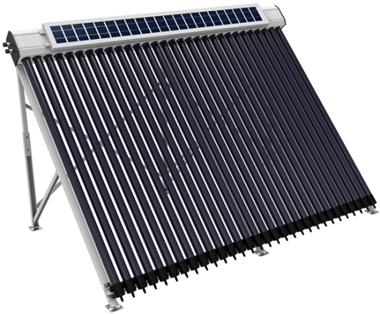 This model joined the line of Atmosfera solar collectors in the beginning of 2012 having occupied the position right in the middle between premium-class and economy-class collectors. Models with 20 and 30 vacuum tubes are available. One of distinctive features of the collector is a frame for flat roof installation comes with it in one package. Another distinction is the heat exchanger and collector frame packed in the same box, which reduces transportation and stowing costs. 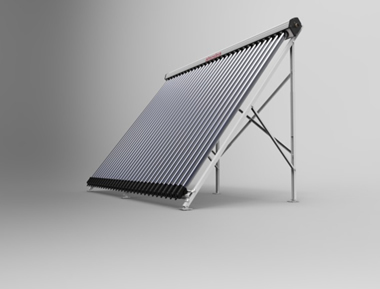 This model joined the line of Atmosfera solar collectors in 2013 having replaced a well-recognized model of economy class Atmosfera SVK -Standard. Models with 20 and 30 vacuum tubes are available. 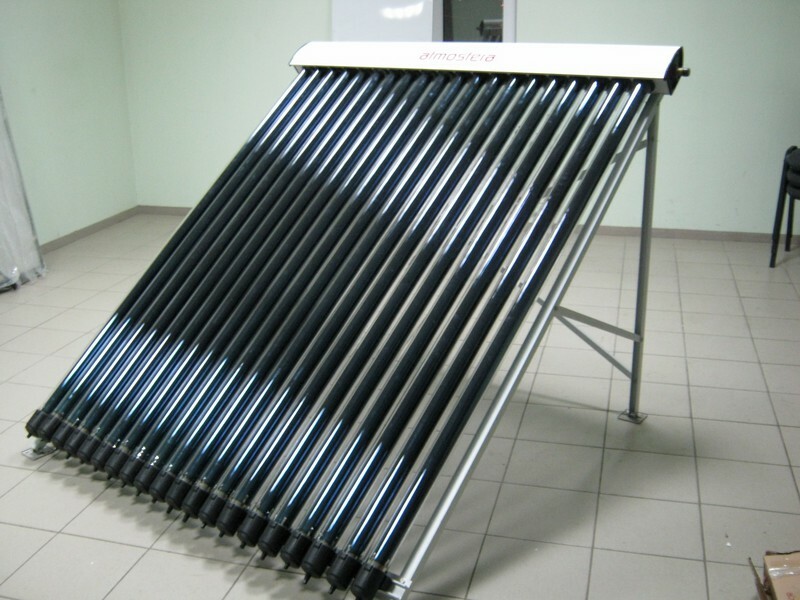 Solar collector SVK -NANO has the same standard design of the heat exchanger housing as that of the model SVK -А, but smaller in size. This model traditionally combines high-performance vacuum tubes 3-hi solar with heatpipe system (condenser diameter is 14 mm).